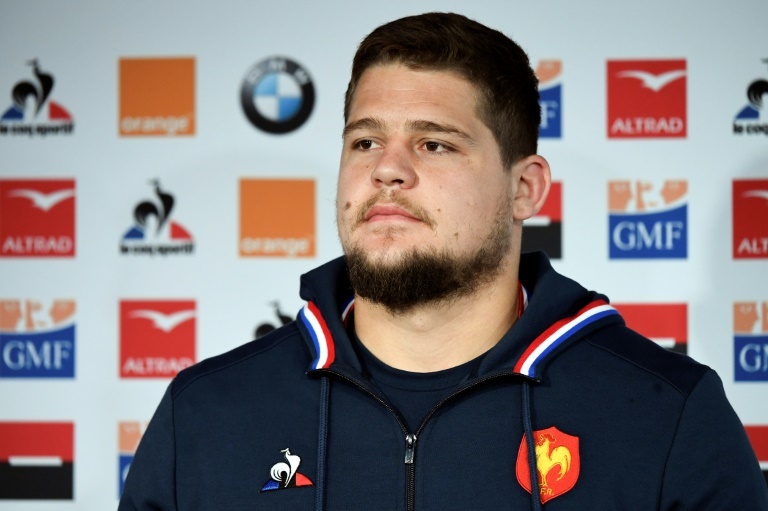 Paul Willemse will become the 11th South African-born player to play for France. RUGBY NEWS - South African-born Paul Willemse will make his debut for France in Friday's Six Nations opener against Wales in Paris. He received his French passport in November and will become the 11th South African-born player to wear France's blue jersey. Also making his debut against the Welsh and facing a baptism of fire in midfield will be Romain Ntamack, the 19-year-old son of emblematic ex-France back Emile. Ntamack is preferred to vice-captain Mathieu Bastareaud, whose dramatic fall from favour means he is not even named among the replacements. "It's not a sanction, he's an important player in the squad. He's definitely not been thrown out," coach Jacques Brunel maintained, when asked about Bastareaud's absence. Ntamack has been at the heart of a buoyant Toulouse side in the Top 14 this season and his selection hints at a change of gameplan by Brunel, who last season oversaw three wins and eight defeats, including a first-ever loss to Fiji. "Romain Ntamack is a strong pick," Brunel admitted. "Of course, he's a lad whose qualities we all know. "He's shown since the start of the season that he's capable of adapting to the levels he's played at." Ntamack will be partnered in the centres by Wesley Fofana, who missed the November Tests through injury, with Gael Fickou and Geoffrey Doumayrou providing cover from the bench. Maxime Medard was named at full-back, with Damian Penaud and Yoann Huget on the wings. Morgan Parra teams up with Clermont teammate Camille Lopez at half-back for just the second time at international level and four years after their previous game together, in the 2015 Six Nations. "We've wanted to play this combination for a year but we've been unable to because of injuries," Brunel said. Arthur Iturria, Louis Picamoles and Wenceslas Lauret form a combative back row. But flanker Yacouba Camara, France's stand-out player in last season's Six Nations, has been out injured and is not in the match-day 23, his place going to La Rochelle's uncapped Gregory Alldritt, capable of playing centre or on the flank.